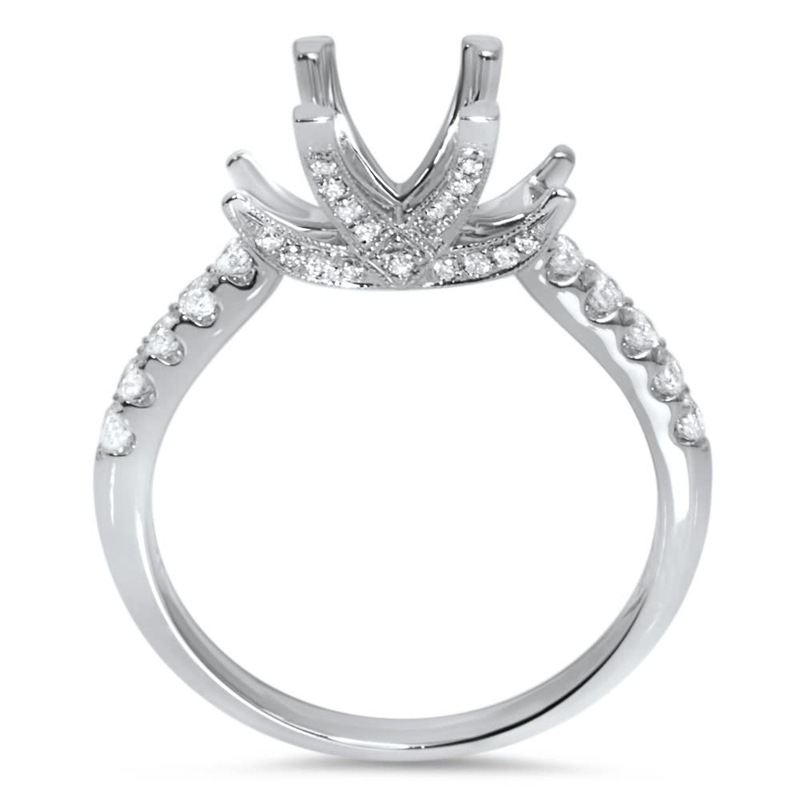 The 3 diamond engagement ring has micro pave round diamonds as the side stones. 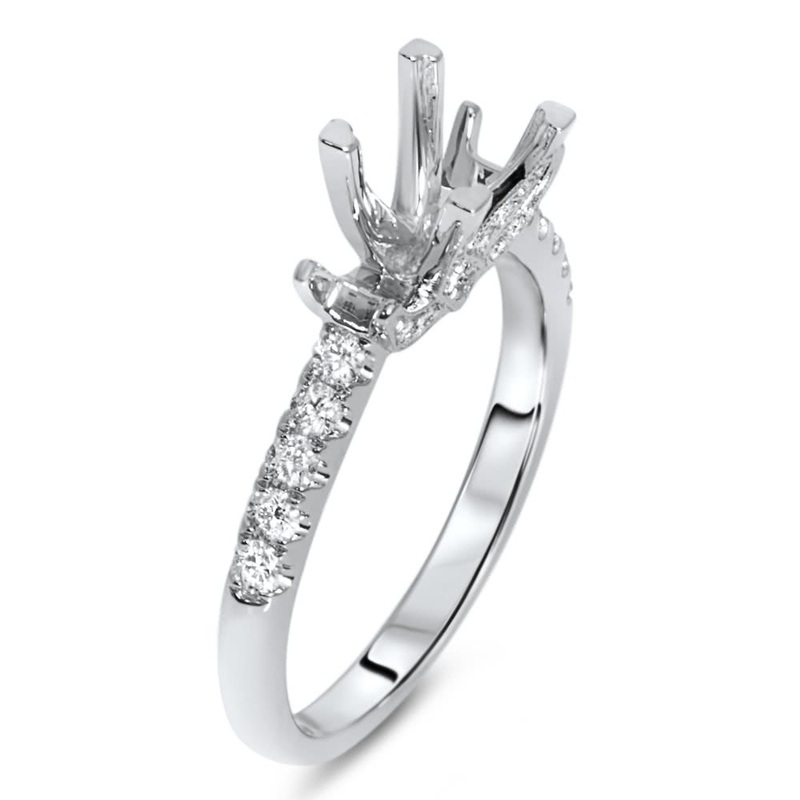 All three diamonds can hold round or princess cut diamonds. 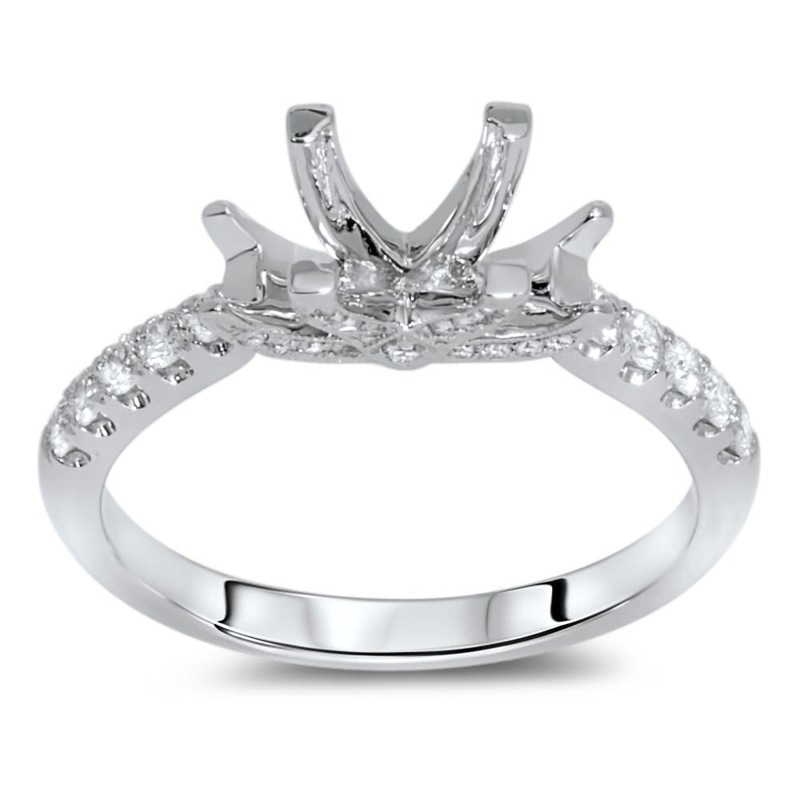 The center stone can hold a 1.25 carat princess cut diamond or a 1.5 carat round diamond.